A day after Thomas Mueller vented his anger, Mats Hummels expressed his own disbelief at Joachim Loew's decision to definitively axe a trio of senior Bayern Munich stars from the Germany squad. Defending champions Germany were dumped out of the 2018 World Cup in the first round, and were then relegated from the top flight of the new UEFA Nations League, pushing Loew to announce a changing of the guard in the national side earlier this week. The 59-year-old Germany boss flew to Munich in person on Tuesday to tell Mueller, Hummels and Jerome Boateng that their international careers were over. 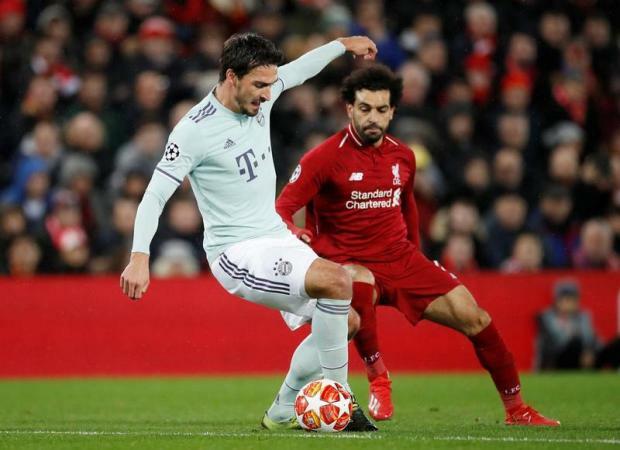 "Independently of what I believe to be an unjustifiable decision (a decision which I respect of course), it's the way in which it was done is just unbelievable," Hummels wrote on Twitter. "Thomas, Jerome and I have given our all for the national team and have done for years. So this way of doing things is to my eyes, unjust given everything we have done and everything we have achieved." The World Cup winning trio have earned 246 caps between them. Hummels' disbelief came in the wake of similar expressions of grief from Mueller. "The more I think about it, the more the way it was done, makes me angry," said Mueller in a two-minute video message posted on his social networks. "The coach's sudden decision obviously left me puzzled. A coach must make sporting decisions, no problem, I do not have a problem with that. "But it's mostly the character of the decision that I don't understand. Mats, Jerome and I are still able to play at the highest level." Bayern Munich coach Niko Kovac also expressed surprise Thursday. "I don't think it's fair to dump a player on the scrap heap at 29 years old," he said. Mueller, Boateng and Hummels were at the core of the side which won the 2014 World Cup, but they were off form during poor displays by the entire team in Russia last year. Germany host Serbia on March 20 in their first friendly of 2019, before playing a Euro 2020 qualifier away to the Netherlands four days later.